Kaarla Kaatijin (which in Noongar means to ‘understand fire’) will use Noongar knowledge and storytelling to deliver traditional stories about fire in an exciting and engaging way. Following the success of Boodjar Kaatijin in 2017, Yirra Yaakin Theatre Company is proud to present our 2018 primary school show Kaarla Kaatijin. Come on a journey into the lives of Djitty Djitty (Willy Wagtail), Kulbardi (Magpie), Yonga (Kangaroo) and many more familiar friends as they explore the importance of Kaarla (Fire) in the next chapter of Yirra Yaakin’s immersive Kaatijin series. Travelling through four different stories, audiences will learn about Meeka, Kaarla and Djitty Djitty the Brave, How the Magpie and Crow Got Their Colour and Songs and How We Made Fire. 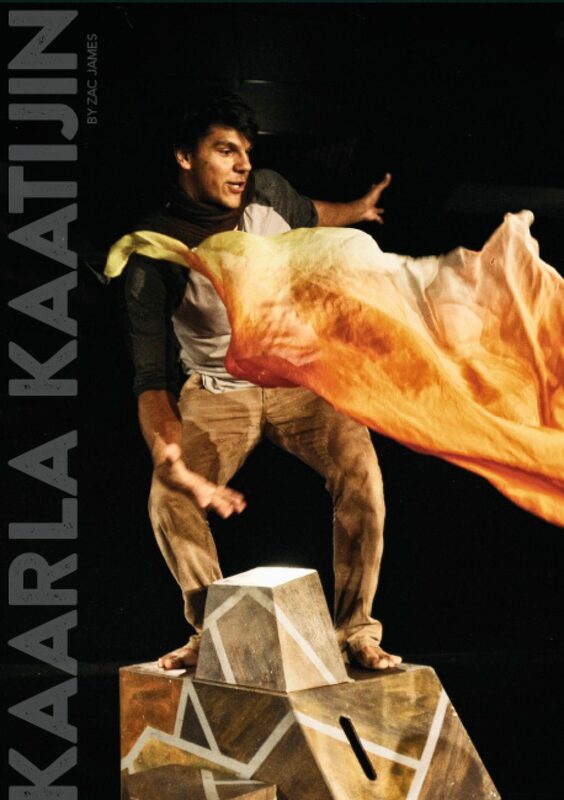 Through a mix of traditional Noongar dreaming stories and contemporary Indigenous storytelling, Kaarla Kaatijin explores the importance of fire spiritually and practically as well as unpacking what it means to be a strong, centred individual learning about the world.